at call hard waste collection up to 3 per year. General waste is collected weekly with recycling and green organics collected fortnigthly (on alternate fortnights). 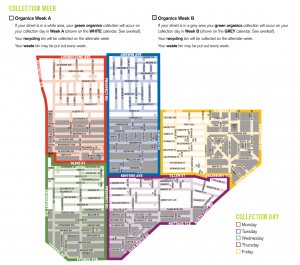 Check your collection calendar and map for collection dates. Get in touch with us to arrange collection. Download the free My Local Services app to recieve bin collection reminders. East Waste also manages the delivery of new bins for new properties, additional bin requests and bin repair and replacement for the City of Prospect – contact us to organise this service for you. You can also contact us to take away any unwanted or excess bins as well as to report uncollected bins or enquire about collection areas and collection days. We collect hard waste for City of Prospect residents and each household is entitled to three free ‘at call’ hard waste collections (up to two cubic metres, about the size of a standard trailer load) each year. Book your hard waste collection. Residents can lease additional yellow lid bins and green lid bins from Council. Fees apply for the provision of additional yellow and green bins, as well as recurring fees for service collection. 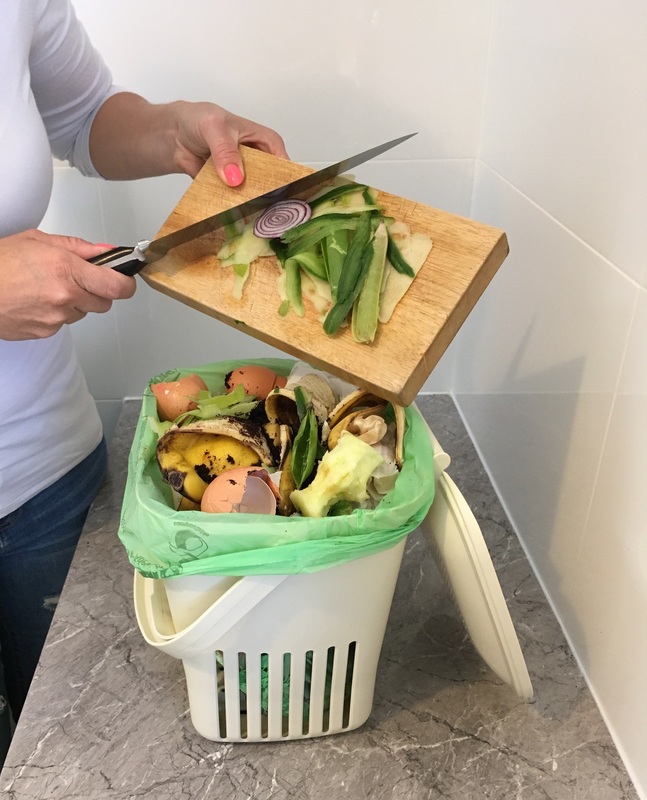 Prospect Council supplies every resident with a Kitchen Organics Basket and 150 compostable (corn starch) bags to help assist with the collection of food scraps for disposal into the organics (green lidded) bin. This material will be processed into compost rather than sending it to landfill. Council will provide each household with a supply of 150 compostable bags. If residents run out of bags before the next scheduled delivery, they can purchase additional bags by contacting the East Waste on 8347 5111 or email east@eastwaste.com. Click here to locate your nearest drop-off location for electronic items ie. anything with a battery or cord. Most electronic items are banned from landfill and should be recycled. City of Prospect has a strategic approach to waste management, with a focus on reducing the amount of waste that goes to landfill. The use of Council’s three bin (plus kitchen organics) system is complemented by a range of other services to ensure that waste can be appropriately managed. Together, these services reduce the environmental impact of waste disposal by appropriately sorting waste into different streams. While Council provides waste services and education on effective waste management, the community plays a vital role in reducing the amount of waste to landfill. Audits of bins in 2014 revealed that 49% of material in the red waste bins could have been composted in the green organics bin. One of the most visible reminders of Council’s approach to waste management is Bin Collection Day, when Council footpaths are lined with wheelie bins. Council produces a Waste Calendar that identifies when each bin is scheduled for collection and what types of waste go into which bin. Check out the Which Bin website for information on what goes in each bin.